A variety of waxing services – Get ready for summer time and pool season with Deja Vu Med Spa & Salon and all of our waxing services. Throw away the razor to get the silky smooth skin you have always desired. From brazillian waxing to lip and brow waxing, we can do it! Continue reading to learn more about our trusted waxing services! You can also call us with any questions or to book an appointment! Get the perfect shape for your eyebrows! Learn More [when clicked please reveal the text below] Whether it is the upkeep of our daily lives or before an event, we all want to have our eyebrows in tip top shape. At Deja Vu Med Spa & Salon you can get all of your salon services in one place. If you are in need of just an eyebrow wax clean up, we are here the place to go. Depending on your face shape, our professionals will give you the eyebrow wax that best fits your face and leaves you walking out feeling better than ever. 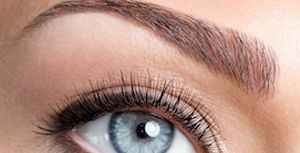 If you are looking to reshape your eyebrows and need help figuring out what fits your face best, we can help you! Remove those unwanted hairs from your upper lip. Unwanted lip hair is something we all want to get rid of. Plucking can be a solution, but only for so long. At Deja Vu Med Spa & Salon we can make sure your unwanted lip hair is removed altogether for a good period of time. 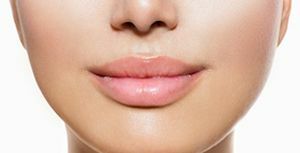 Lip waxing can seem like an at home remedy, but really it can lead to unnecessary pain and bad results. It is important to look to the professionals to avoid any irritations that might happen along with uneven results. Take care of the annoying and unnecessary hairs. Ear waxing and candling can be a very important way to improve your ear health. The old home remedy known as ear candling has become a method to relieve pain and discomfort from ear wax build up. Along with regular ear waxing, Deja Vu Med Spa & Salon provides you services to keep your ear health in tip top shape. There are many benefits to ear candling and waxing such as: Regulation of ear pressure, Facilitates other body work, Detoxification of sinus and lymph system, Release of congestion. If you are having ear pains due to wax buildup and want to replenish your ears, get in touch with a specialist at Deja Vu Med Spa & Salon to book an appointment and see how we can help you. Get rid of those unwanted hairs all around! Waxing provides smooth, hair-free skin that looks and feels healthy. Deja Vu Med Spa & Salon provides practical and affordable ways to remove unwanted hair on any part of the body including full face waxing sessions. Throughout your face, hair tends to come in unwanted areas such as: Around the eyebrows, Lips, Ear, Sideburns and more! Walk out with smoother and silkier skin. Unwanted hair around your body can be difficult to deal with despite your daily shaving efforts. At Deja Vu Med Spa & Salon, we offer full body waxing treatments to get your skin feeling smooth and hair-free. To remove unwanted hair from the different areas of your body, our waxing professionals will treat you to smooth, hair-free skin that looks and feels healthier than ever. Our services are a practical and affordable way to remove unwanted hair on any part of the body such as: Face Legs Arms Stomach Back Brazilian Bikini and more! Say goodbye to the razor and get ready for the sun! Shaving your legs can become a daunting task that becomes necessary on a daily basis. After shaving your smooth skin only remains for a matter of hours until it becomes uncomfortable. At Deja Vu Med Spa & Salon we provide leg waxing services to help your legs stay smoother for a longer period of time. By waxing your legs you are not only shaving the top of the hair follicle, but getting to the root of the hair deep in the skin pore. By removing the entire hair follicle your hair takes longer to grow back than shaving leaving you with smooth silky legs more than just a day. Remove those annoying and unnecessary arm hairs. Like leg hair, some feel that arm hair is unwanted and the shaving process can become a dreadful daily task that doesn’t give you the best results you desire. At Deja Vu Med Spa & Salon our waxing specialists will give you the smooth arms you have always dreamed of. When shaving your arms, the hair tends to grow back a lot quicker than we would like. To avoid having to shave your arms every day, arm waxing is the perfect way to not only make your skin smooth, but have it remain smooth for a longer period of time. Wax away the unwanted hairs in the most intimate areas. Brazilian waxes are designed to keep all of the unwanted hair away from your most intimate places for extended periods of time. Whether you want the monthly upkeep or have an event coming up, Deja Vu Med Spa & Salon provides clients with brazilian waxing services. Brazilian waxing can be a new experience for most with many questions regarding how it works and what the process is like. If you have any questions regarding a brazilian waxing treatment, a specialist at Deja Vu Med Spa & Salon would be more than happy to explain the situation to make you feel more comfortable. Say goodbye to razor bumps and rashes at the beach. Bikini waxing has been given the name due to the area of waxing is typically around the bathing suit area known as a bikini. 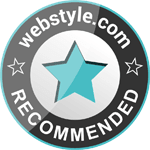 Most women tend to get this waxing treatment to get rid of any unwanted hairs that can be seen. Deja Vu Med Spa & Salon provides bikini waxing treatments so you can feel comfortable in your bikini.Shaving this area can result in irritation of the skin and leave unwanted red bumps and rashes. Waxing is an alternative to getting rid of unwanted hairs and typically leaves a clean and smooth skin surface.